In today’s marketplace, podcasting is one of the most effective ways to build and maintain brand loyalty. As a matter of fact, podcasting has gotten so popular that as of 2018, Apple had more than 500,000 active podcasts in its library. However, with so many podcasts available to consumers for free, how your show differentiates itself from the others can be the difference between podcasting for a living and podcasting for an audience of one. With that in mind, we joined forces with Mark Deal and PodATL to host a Comedy in Podcasting meetup featuring a keynote from Atlanta comedian Joel Byars at The Park. 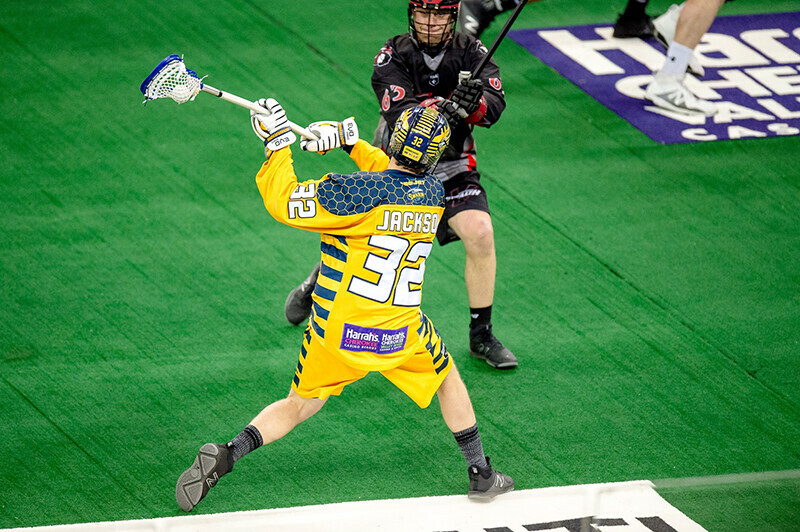 Don’t worry if you missed it, this recap will fill you in on what was said, but that’s not all! Mark Deal and PodATL will be back at The Park for a lunch and learn on January 16 for another session. Click here for details! During his keynote presentation at The Park, Joel spoke about lessons he’s learned and applied to earn his show, Hot Breath! Podcast: Your Weekly Guide to Comedy Mastery, a 5-star rating from 165 people—and that’s just on Apple. His show is on Spotify and anywhere else you listen to your podcasts. Well, comedy is the ultimate way to connect with your audience and create trust with them, Joel said. “If they’re laughing, they’re listening,” he told the PodATL meetup group at The Park. Even if you’re not intentionally funny, you can still find humorous ways to get the audience to engage with your content. For example, you can pair your ad-reads with a real-life story or record them in a different voice. A catchy intro, show name, or tagline are also easy, calculated ways to pique a listener’s interest. Simply smiling while speaking into the microphone will make your voice sound more welcoming and subconsciously encourage your listener to do the same. Standing while you speak into the microphone is another great way to inject energy into your voice as well. Hard consonants go over with audience wells. Those are words or letters that pronounced differently due to variations in the breath behind a sound. For example, a punchline will be funnier if the emphasis is on the word bucks instead of dollars. Identifying characteristics or behaviors from other things or people you find funny and imitating them (without stealing their material obviously) will surely work for your podcast. Keep in mind that humor is innate within all of us. Being a comedian means being intentionally funny and viewing the world in a different way, but being organically funny isn’t something to stress over as it can and will happen naturally as long as you are confident, vulnerable, and open to what’s happening (contextually) and what’s being said by your guests and fans. Aside from being funny, there are other principles to adhere to in order to create a successful podcast. You want your delivery, sound quality, audio, and content to be buttoned up because podcasting is a very intimate platform. You are speaking directly to (or interviewing) someone. It can be an hour longer or more, go very in depth, take place on a tour bus, at someone’s home, etc. Unlike TV, which is made to look glamorous, or radio, which is heavily regulated, podcasting is driven primarily by the audience and host. Always seek feedback from your listeners. If they have given you their time to listen to you, then you should return the favor and listen to them. Incorporating listener feedback into your podcast is a great way to get them to engage with you more. A good way to look at it is, a 30-minute episode can require up to an hour and a half of prep time, an hour-long episode requires that much or more, and so on. In other words, it takes time, effort, research, passion, and patience to make a podcast episode worthwhile for a listener—and that’s before you start recording a single thing. The next layer of podcasting is having a unique perspective that only you can provide. People don’t want to just hear a regurgitation of information they can find elsewhere, so make sure you have a premise, idea, perspective, or content they won’t get anywhere else. Clearly stating your premise, a one-line summary of your show’s content, is an effective way to establish your perspective. Now that you have received expert advice from Joel, you can apply the knowledge to your podcast whether it has been created or is still in the work. To achieve success with it, be consistent, be unique, and have fun! If you do take this approach and apply the tips Joel shared, your podcast is sure to be a success! 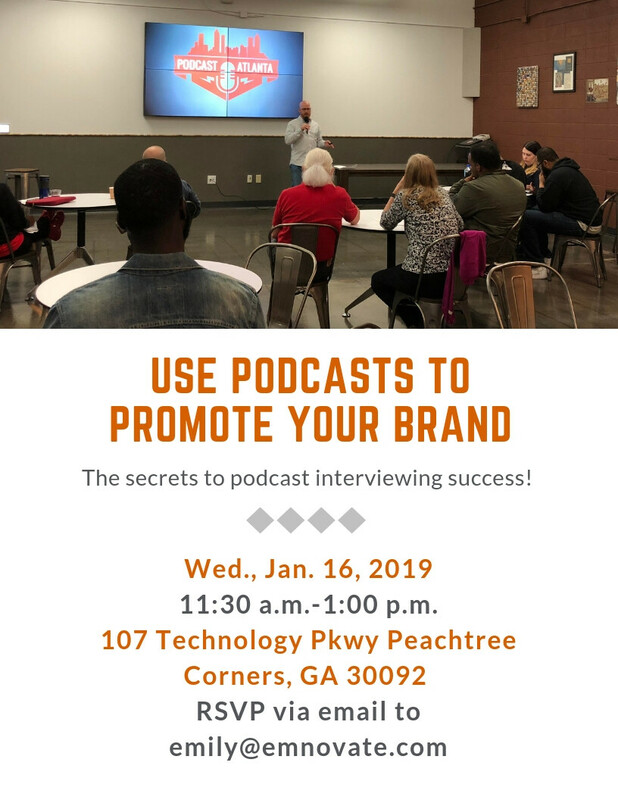 To learn more about podcasting, join us for a lunch and learn with Mark Deal at The Park on Wed., Jan. 16, 2019. Mark will discuss how to find podcasts that already serve your target audience and how to secure an appearance on those shows to ensure good exposure for your brand, service, or product. RSVP here now! After establishing the services organization for BlackBerry and starting from scratch an enterprise services business for Samsung, Robin Bienfait decided it was time to break out on her own and help businesses and entrepreneurs bring their dreams into reality at Atlanta Tech Park and through her advisory service company Emnovate. 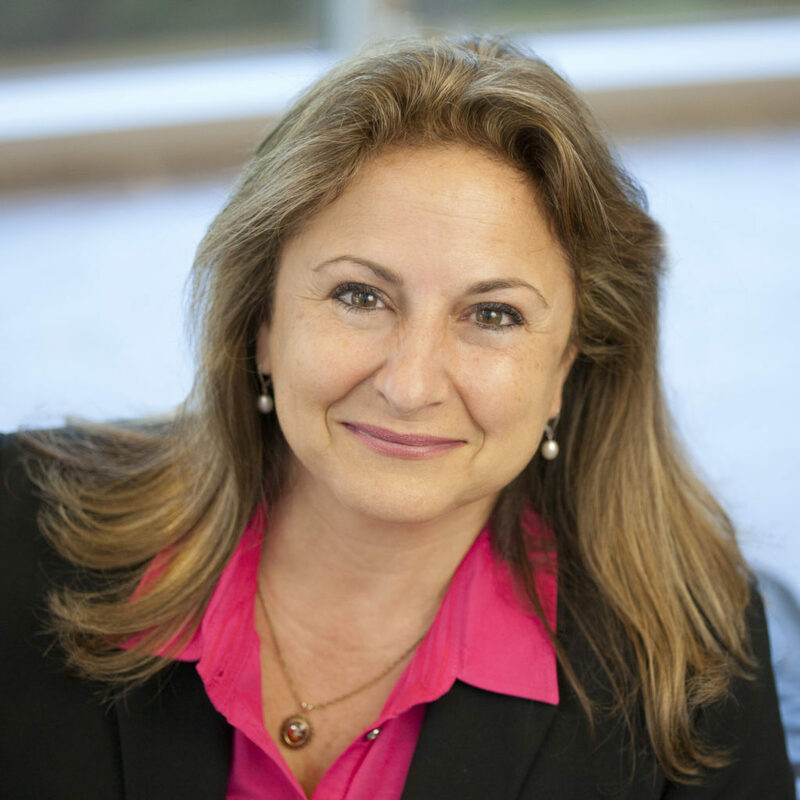 An accomplished engineer, technologist, business strategist and leader, Robin remains at the forefront of innovation. 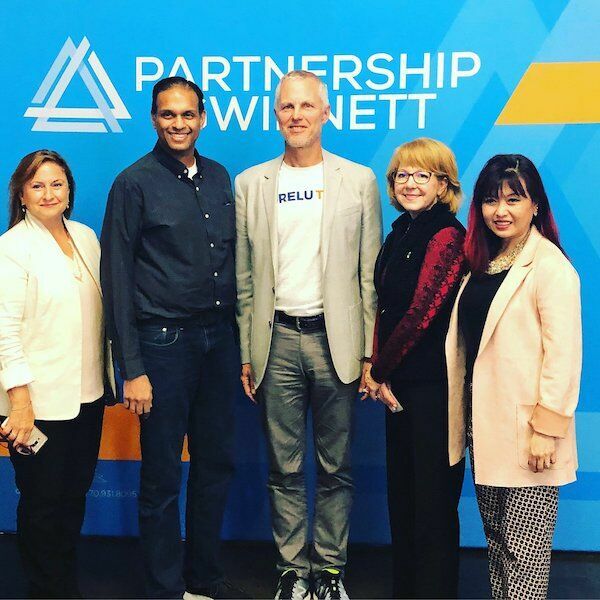 She is excited to bring that innovation to Atlanta Tech Park, known as The Park where her philosophy of a local footprint with global intent is flourishing. As a child, Robin was drawn to engineering and technology and her supportive family of seven siblings and educator parents empowered her to follow her dream of becoming an engineer. Her enjoyment of the fast pace of learning in technology helped her find opportunities where she least expected by being open to mentors she met along the way. “It’s important to enjoy what you do as well as the people you work with. And recognizing that there are many ways to contribute has kept me alert to opportunities that presented themselves,” she says. It is this experience that she is most excited about bringing to the members of The Park. Always wanting to give back and help others, Robin enjoys the opportunity to be the mentor to others that are in an acceleration phase in their business. 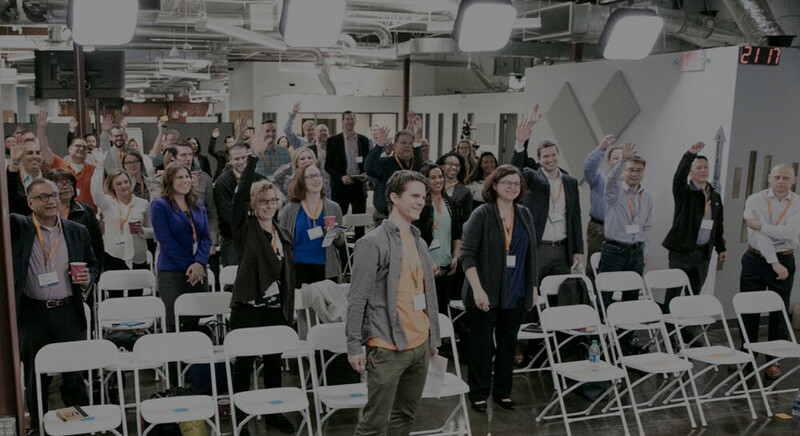 Always thinking like an entrepreneur, Robin has used her experiences to help the companies she has worked with (AT&T, Blackberry, Samsung) break ground in the latest technologies and establish themselves as industry leaders. The ability to continue to help industry disruptors is what has her most excited about where she is today at The Park. With so many examples of how technology can revolutionize business communications, improve supply chain efficiencies and create signification competitive advantages, it was important to her that The Park be state of the art in the technology used to create a global acceleration environment. Transforming business processes along with enhancing and customizing the way people interact is the kind of substantive opportunity created at The Park through Robin and leveraging her corporate connections. Named one of the 18 Inspiring Women to Watch in 2018 by Inc. Magazine, Robin is a people person and you will always find her out and about at The Park. She may be chatting with members, getting to know them and their business. The success stories she is becoming a part of is what excites her about the future. “Over the years, I’ve learned from the most interesting people and sometimes where you’d least expect,” she explains. Lunch and Learn at ATP – Do You Speak Prospect? What was the last great ad you saw or heard? Do you remember what made it special or unique? 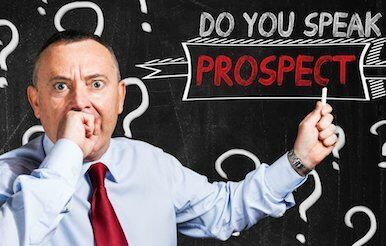 Speaking prospect means speaking the language of your prospective buyers and consumers. These days we are in an “attention economy,” which means companies are after your attention just as much as they are after your money. The first step to succeeding in the “attention economy” is understanding the reach that marketers have today. Prior to the digital age, advertisements could only go as far print or broadcast mediums would let them. These days, however, most marketers are within arm’s reach from prospective buyers as a result of mobile devices. Another fundamental principle of marketing is understanding the value of “brand,” which is the experience a customer has with you and your product. A simple test to measure your brand’s effectiveness is trying to summarize its mission in 12 words or less. Furthermore, your company’s slogan should be universal amongst all employees. There’s more to brand than having a catchy or memorable one-liner however. Your brand should tell a story and be intentional about delivering results. It should spark curiosity and the images associated with it should portray results. Good branding makes you unique and instills confidence in a prospect (“how did they know I need this?!”). Lastly, successful companies with good branding change the way people do things while making the product easily adoptable. Take Facebook, for example. It’s a relatively simple premise that has changed the entire world at no cost to the user. Now that you understand two key components to marketing—attention reach and branding—let’s focus on the opposite end of the spectrum, which is what consumers are looking for. Consumers will withhold information from you, seek similar alternatives (to your product or service), solicit feedback from other consumers, and ultimately buy what they understand the fastest. Now comes the execution part of marketing: what methods are most effective? Right now the answer is actually pretty simple: product video is the most effective marketing tool. These advertisements work because they eliminate the technical jargon associated with product development. They are also bold. It’s important to note, too, that emails with links to videos have a significantly higher success rate than emails without them. Another effective marketing tactic is lead-generation or exchanging a resource (such as a pdf, free e-book, etc.) in exchange for a prospect’s personal info. The most effective way to do this is by sharing your resource with someone in exchange for his or her verified e-mail address. Otherwise, you will give up valuable information for no real leads. Customer testimonials are effective, but anything more than five is overselling. Social media is the most universal of all marketing tools, but marketers should identify their audience’s top platform and master that medium first before repurposing that content for other ones. For those in an operations field, talking triggers are enormously valuable. Essentially that means identifying the first thing people talk about when your company is mentioned. In the case of Doubletree Hotels, for example, their chocolate-chip cookies are a common talking point among vacationers. It doesn’t matter what Doubletree you’ve been to because you have had the cookie that is universal among the company’s entire chain of hotels. Lastly, measure the success of your campaign with data. Have marketing goals in mind before you start any campaign (always run campaigns instead of individual ads, Treager says.) then have monthly reporting and quarterly reviews to make sure you are staying on target. In summary, your messaging is extremely key to everything you do as a company or brand. The most effective messages are also the easiest to understand. Be prepared to answer the question about what resources you have to ensure your customers’ success, and make sure your website is always updated. It is a 24/7 salesman on your behalf. 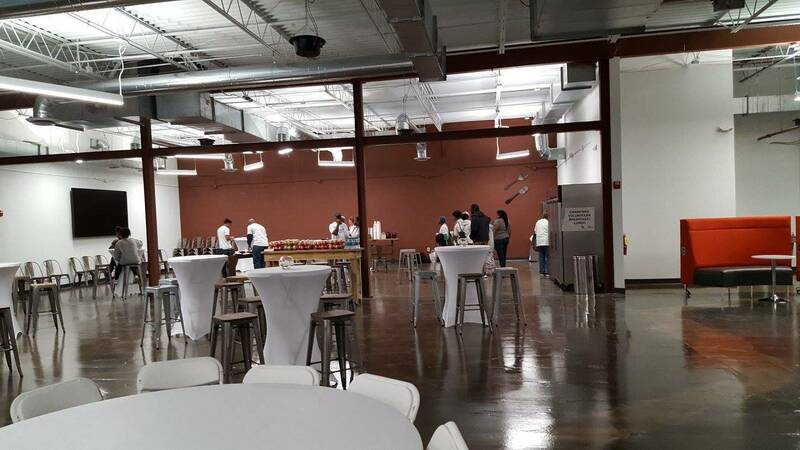 Monday, July 16, 2018, Peachtree Corners, GA: Atlanta Tech Park will proudly host EthAtlanta for its hackathon on Friday September 21, to Sunday, September 23, 2018. The hackathon is open to all blockchain enthusiasts and web developers. Participants will work in teams over a 36-hour period to create a blockchain enterprise idea from scratch then present their final product(s) to a panel of expert judges on Sunday, September 23. Prizes will be awarded to the winners of the competition. Blockchain beginners and experts, technology experts, designers, and more are all invited to attend and participate in this special event to learn new and valuable insights about blockchain technology and make meaningful industry connections. Visit www.ethatl.com now to participate in the hackathon or register to attend. 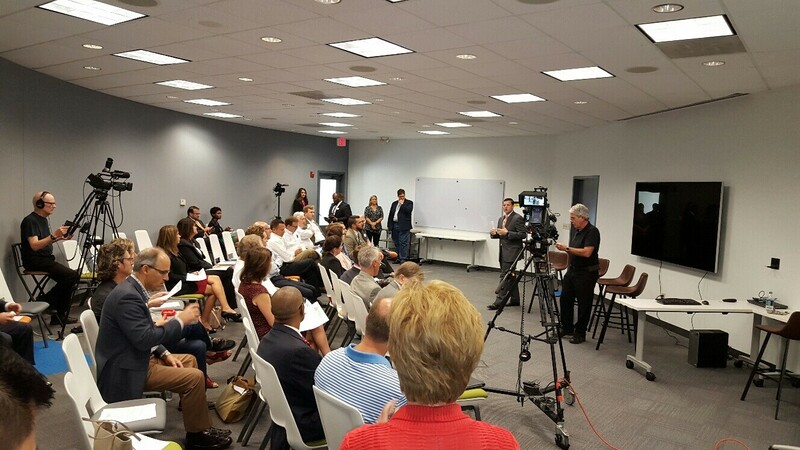 ABOUT US: Atlanta Tech Park is a technology incubator in Peachtree Corners, GA. 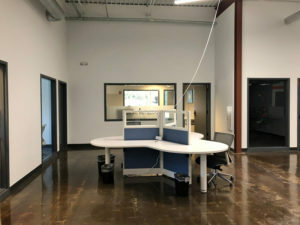 The facility features a video podcasting studio, hot desks, private offices, an events space, and a 100-person auditorium. Membership and insider info can be found on www.atlantatechpark.com. 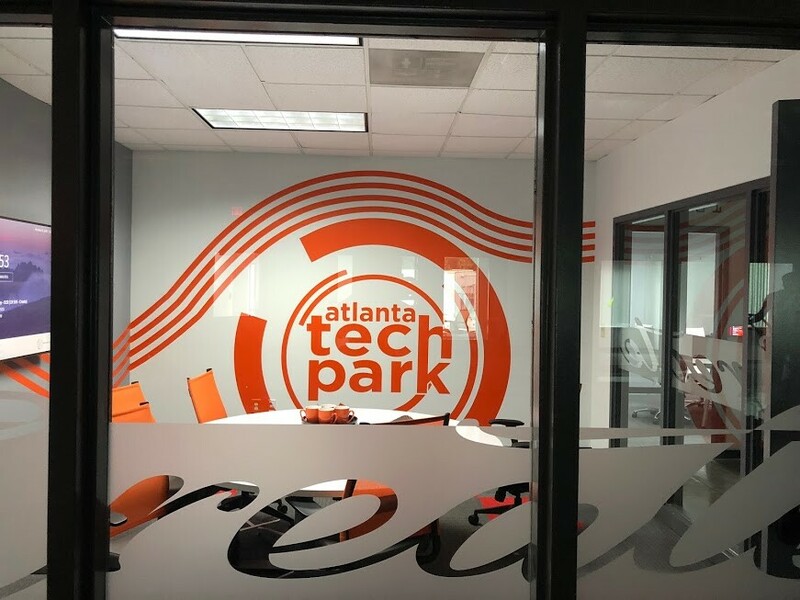 Follow us on Twitter at @107ATP and on Instagram at @atlantatechpark for the latest news and updates about what’s happening at ATP. 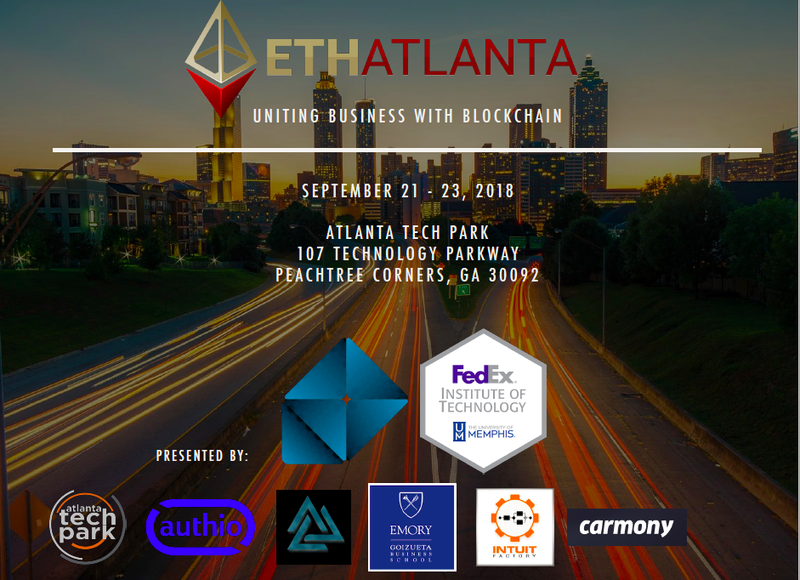 ABOUT EthAtlanta: EthAtlanta’s mission is to unite business leaders with senior hack teams to explore use-cases, network, and create working software for the media and entertainment, supply chain and logistics, healthcare, payroll, and automotive industries. Learn more at www.ethatl.com. Seriously! What does make us different? When talking with members of The Park, one thing is repeated over and over again - "There is no other place like this anywhere!" Maybe it’s the state of the art facility. 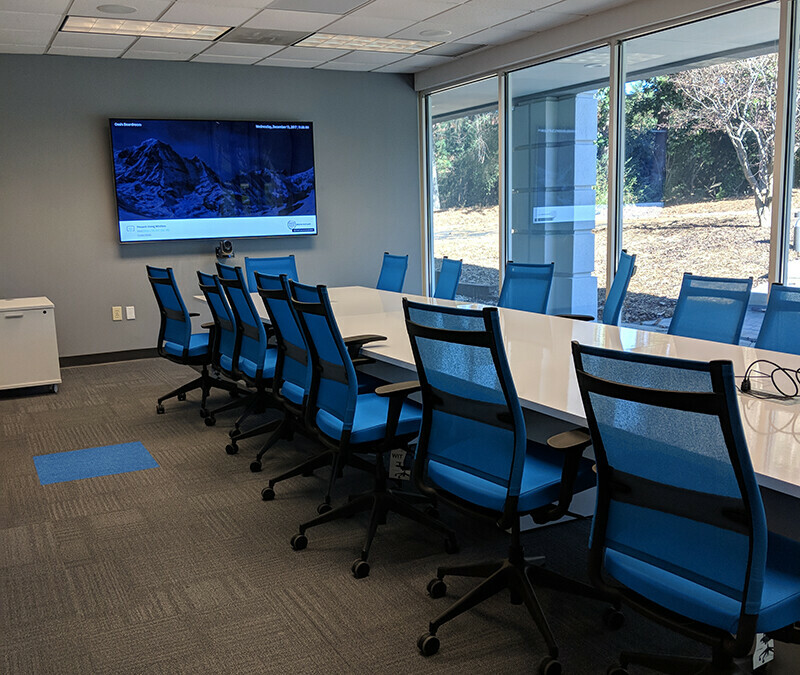 Members have access to conference rooms equipped the latest in technology. 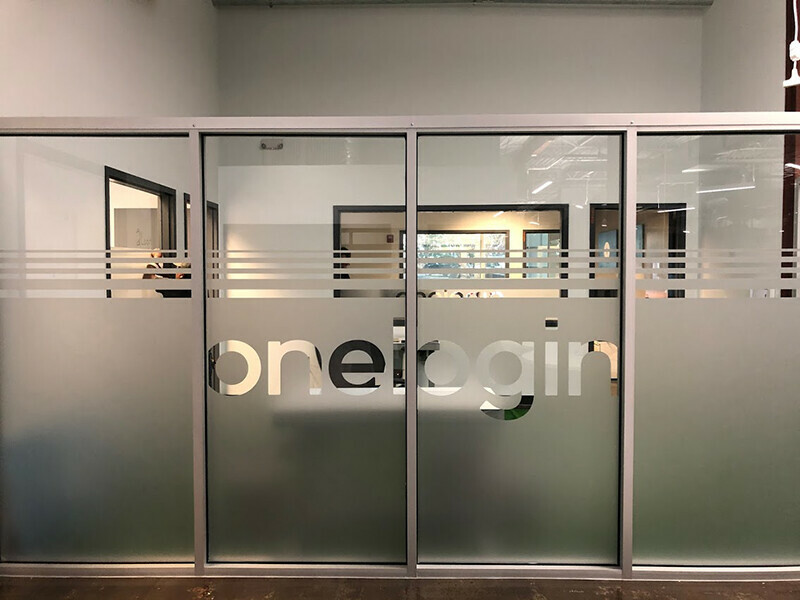 From wireless screen connections to digital displays and everything in between, if you need it we have it. Our online scheduling capabilities enable you to book the room you want when you want. Never worry about double bookings. Perhaps it is our community events. From monthly lunch and learns to our wildly popular Wine Wednesdays, we have something going on for our members. We work to give them the knowledge they need to accelerate their businesses, grow their networks and improve visibility in the community at large. Some say the perks are where it’s at. How about free snacks, coffee, and fountain drinks in a cafe with cable TV. On-site services from dry cleaning pick up/drop off and secured document shredding to color printing and mail service, we have thought of every detail to make life easier and more enjoyable at The Park. Without a doubt though, it is the people. The staff at The Park is second to none always there to help. It makes our members feel like they have a huge team and are ready to take on the world! We take pride in curating a special environment. If you haven’t come by to see for yourself what makes us different, why not schedule a tour today.